As a small (and growing) business, we focus a lot of our efforts on generating new leads and finding new potential customers. We have to work twice as hard because our brand name isn’t as well-known as our larger, more established competitors. Not only do we have that working against us, but also all of our competitors are only one click away. According to management professional Gregory Smith, on average, businesses lose about 15-20% of their customers each year to their competitors. That is a pretty big chunk of customers. Especially for SMBs! So how do you keep your business from losing your customers and keeping a higher ROI? Focus on your customer’s experience. Mark Turner, SVP EMEA at Genesys says, “Marketing might get you new customers, but if you’re not looking after the customer experience, what’s the point?” Turner is onto something. If you want to retain your customers, you have to prove to them that you’re worth coming back to. According to ClickSoftware, 86% of consumers have stopped working with a company due to a bad customer experience. Bad customer service leads to a bad customer experience so you’ve basically just shot down any chance at good customer retention. Gaining new customers is always a company goal, but keeping them around is just as important. Customers really are the foundation of every business. One area that companies misunderstand is the difference between customer retention and customer loyalty. Loyalty is earned; it takes continuous effort over an extended period of time. However, it is a great investment, as loyalty will also bring you referrals and turn your customers into advocates for your brand. Are you spending enough time on your customers’ experience to earn their loyalty? Mark Klein, CEO of Loyalty Builders, Inc., put it simply by stating that retention is a measured value that your business can track. Loyalty cannot be directly measured, but instead it is measured by the commitment to the brand that the individual displays. It’s like a nurturing program put in place that you are just watching and engaging with. So in other words, if you want to see this commitment, the quality of your customer experience needs to exceed the quality of your customer service. A lot of companies think that because they have a customer service function in their business, they automatically have a great customer experience. They are wrong. Simply having a call center or live chat tool does not guarantee a happy customer experience. The Internet makes it so easy for customers to find what they are looking for, which should be the same for customer service. Think about it this way: According to MarketGoo, 60% of US retail sales will involve the web by 2017. Also, 40% of searches are for local services and resources. Those are pretty big numbers. How does your customer service rate now? If your customer service platform isn’t great already, it definitely won’t be ready for the influx of online users in the years to come. 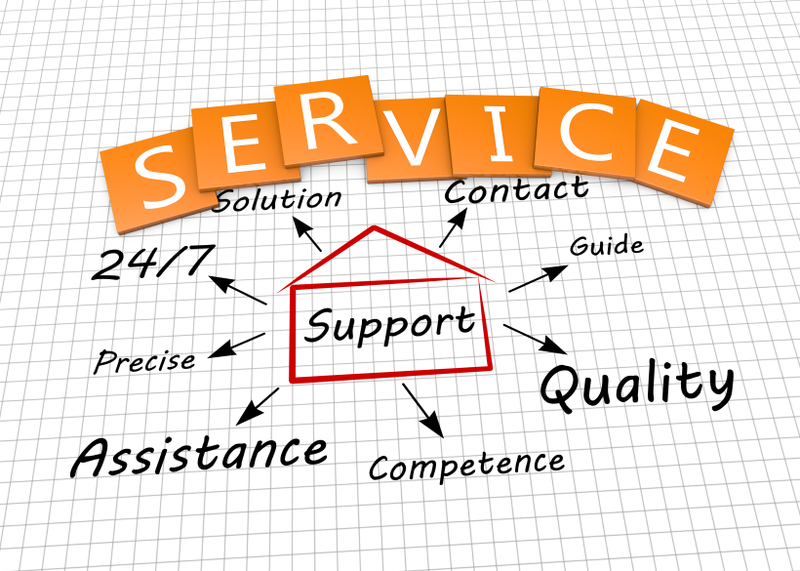 You need a smart customer service tool to stay current for the new generation of tech users. You also want to create and retain loyal customers. Once you have these loyal customers, have you taken into consideration the feedback they’ve given you? Value the feedback. If they don’t like something, fix it. If you don’t fix it, and are unresponsive, the complaint will threaten to go viral within minutes. We, as humans and consumers, are naturally wired to want to share information with other people who will find it interesting. So when we get frustrated about something not working, we want to share that with everyone around us. We don’t want others to suffer through the same experience. A great example is the recent Comcast fiasco that went viral. The customer service representative made a huge mistake in not giving the customer a great experience to remember. So of course the Comcast user made sure to let everyone else know about the awful experience. In the end, the user recorded the phone call so everyone could see how pushy the customer service representative really was. It just goes to show that customer service and a great customer experience are not one in the same. Martin Zwilling, founder and CEO of Startup Professionals, Inc., says that customer satisfaction “is about which customers broadcast their pleasure or unhappiness with others.” It is so easy to influence thousands or even millions of potential new customers with one Tweet, Facebook or LinkedIn post. You’ve probably heard this before: According to Gartner Group, 80% of your future profits will come from just 20% of your existing customers. How do you think these customers became so loyal? Every single interaction that you have with your customers is an opportunity to win or lose them all over again. Do you want that higher ROI that comes from having a loyal base of customers? Spend the extra time to perfect your customers’ experience. It is a great long-term investment that always pays off in the end.